Written for the professional and the layman, the book provides the meanings of important and interesting acronyms in the broad area of computing and information science and technology. 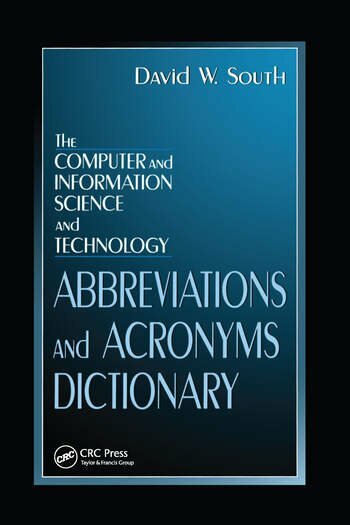 The acronyms and abbreviations contained in this book were created by the men and women of the computer and information age to save time and space and eliminate unnecessary repetition and wordage. The book is of value to engineers, scientists, technologists, executives and managers in technical fields, programmers, systems analysts, writers, and computer owners or potential buyers.